Where is Xur this week? We have his location and wares for September 7, 2018 in Destiny 2. 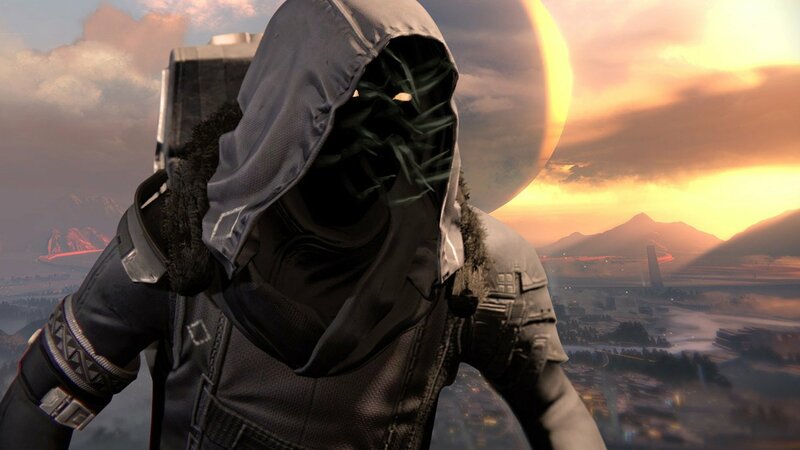 Xur, the Agent of the Nine, has been a curious and welcome NPC to all Guardians since the first week he arrived in the original Destiny. Each week Xur brings with him exotics and other items that are of great interest to Guardians, but his most anticipated arrivals are typically right after the launch of a DLC. With Forsaken now out, Guardians around the world are wondering where Xur is today. We have Xur’s location and wares for September 7, 2018. Where is Xur for September 7, 2018? Not a single Forsaken exotic. Are you kidding me, Xur? Xur is in the Tower this week. Find him over by the Dead Orbit NPC, in the same area that Cayde-6 used to hang out, and where Amanda still resides. Xur is easy to spot but the collection of Guardian names in that small area. 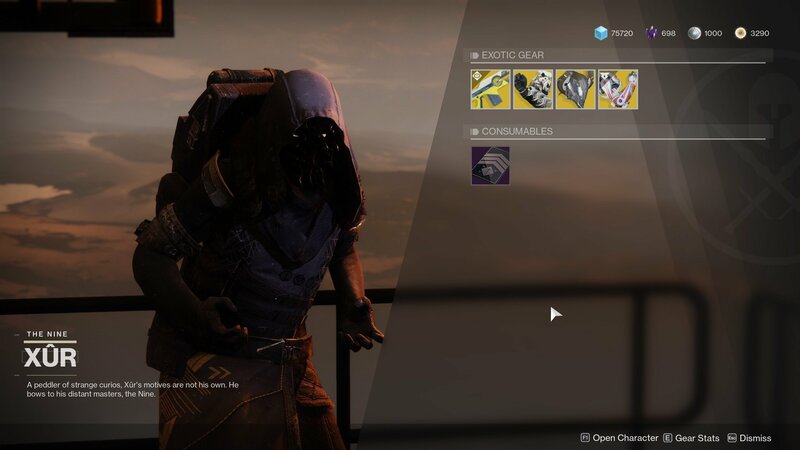 This week is proof that Xur’s inventory is random, as he has no exotic gear from the Forsaken DLC. It’s a bit disappointing, really, but that’s how RNG works. As always, Shacknews suggests that you by any gear you don’t already own, starting with the weapon or armor piece from your main class. If you are rich in the Legendary Shards, just buy everything that you don’t own. For more help with everything about being a Guardian, visit the Destiny 2 complete strategy guide. We’re hard at work explaining all the new mechanics and systems in Forsaken, but still have a large backlog of content for those new to Destiny 2.